The ability of yeast cell wall fractions to stimulate immunity and increase resistance to disease is well documented. For more than fifty years we have known that the immune stimulating activity of yeast cell walls is primarily due to the (1&amp;#8594;3,1&amp;#8594;6)-&amp;#946;-Dglucans (hereafter&amp;#946;-glucans), which are important structural components of the cell wall. Evidence indicates that the bioactivity of &amp;#946; -D-glucans is intimately linked to the structure and physicochemical properties of these complex carbohydrate polymers. Virtually all natural product &amp;#946; -glucan isolates are a distribution of glucan polymers with varying polymer lengths, varying molecular weight and, in most cases, differences in branching frequency, length of side chain branches and solution conformation. This level of structural complexity and variability presents a number of challenges to investigators attempting to understand the chemistry and biology of glucans. 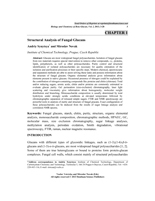 Herein, we describe the physicochemical analysis, structural chemistry and quantification of glucans derived from natural sources. This work has not only advanced our understanding of these intriguing and medically important biomolecules, but it has also provided a foundation for the development of methods for the total organic synthesis of bioactive &amp;#946; -glucan oligosaccharides. 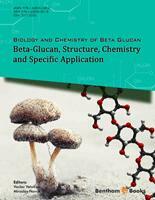 The availability of synthetic &amp;#946; -glucan oligosaccharides of defined structure and composition may herald a new era in the field of glucan biology.